With the recession still rearing its ugly head many families have had to cut back on luxuries such as family days out. Wouldn’t it be great if you could save money when taking the kids out…well now you can! There are thousands of vouchers and discount codes on offer to save you money at top UK attractions. Many of these include the UK's best family attractions such as theme parks, zoos, safari parks and museums. The offers available do vary but you can get 2 for 1 on admissions or kids go free. Keep an eye out for vouchers to use on your day out as well, you can save 20% in cafes or get some good deals on activities that cost extra. So next time you are thinking about taking the kids out search online for vouchers to use in your area and see how much you can save. Moneysupermarket.com are currently offering a 3 for 2 on admissions Chester Zoo voucher. Chester zoo is proud to be the UK's number one zoo and is home to over 400 species of animals several of which are endangered. The zoo has plenty to see and do, stretching over 110 acres and containing over 7000 animals. The zoo is a great educational and fun day out that gives children the chance to see exotic animals up close. A very popular experience at the zoo is the bat forest; here you walk through a darkened forest containing over 400 bats many of which are flying around! This is not one for the faint hearted and may not be suitable for young children. Butterfly journey is one of the largest butterfly houses in the UK and contains over 30 species of butterfly some from as far afield as Thailand. The butterfly journey is a tropical environment and contains beautiful tropical plants as well as butterflies. The zoo is open all year round and often host events such as Encounter Days where you get up close to spiders, snakes and bats, or the Vets Experience which offers you a peek behind the scenes of the zoo and the chance to experience the work the vets do. One of the zoo's most popular events is their Frost Fair, which runs from 10th to 31st December and is the perfect day out to get you in the festive mood. 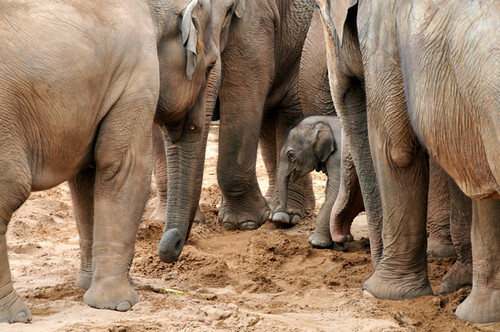 Chester zoo has so much to offer it is not surprising it is the UK's most visited zoo with over 1.4 million visitors every year, so why not take advantage of this great offer and take the kids for a fun filled day out.